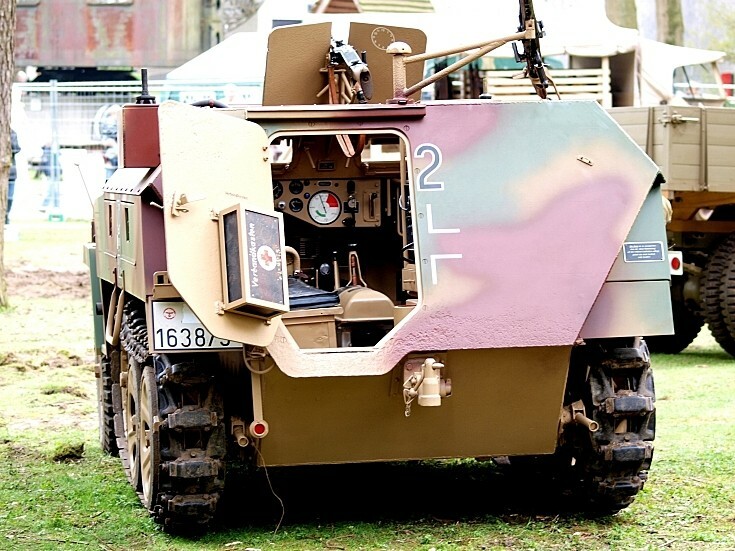 A peek into a SdKfz 251 at the Militrack show. I had to take this picture from behind a fence because we where not allowed in. See picture #4284 for info on the SdKfz 251. This is not a SdKfz. 251 but a SdKfz. 250/3 from 1944. Nice pic! Added by David on 22 July 2010.